Here's a sneak peek of new items coming soon. 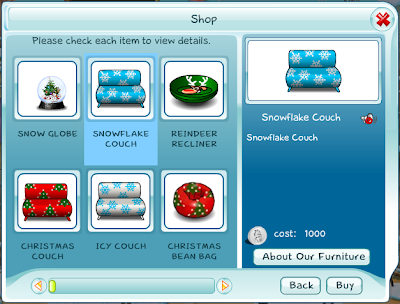 The holidays are just around the corner, and the Furniture Shop in SecretBuilders has all the items you need to decorate your home. Plus check out the Clothing Shop for new holiday-themed winter clothes.